PLEASE CHECK THE VENTING INDEX PRIOR TO ANY BURNING. Go to Fire Safety Page Burning info. 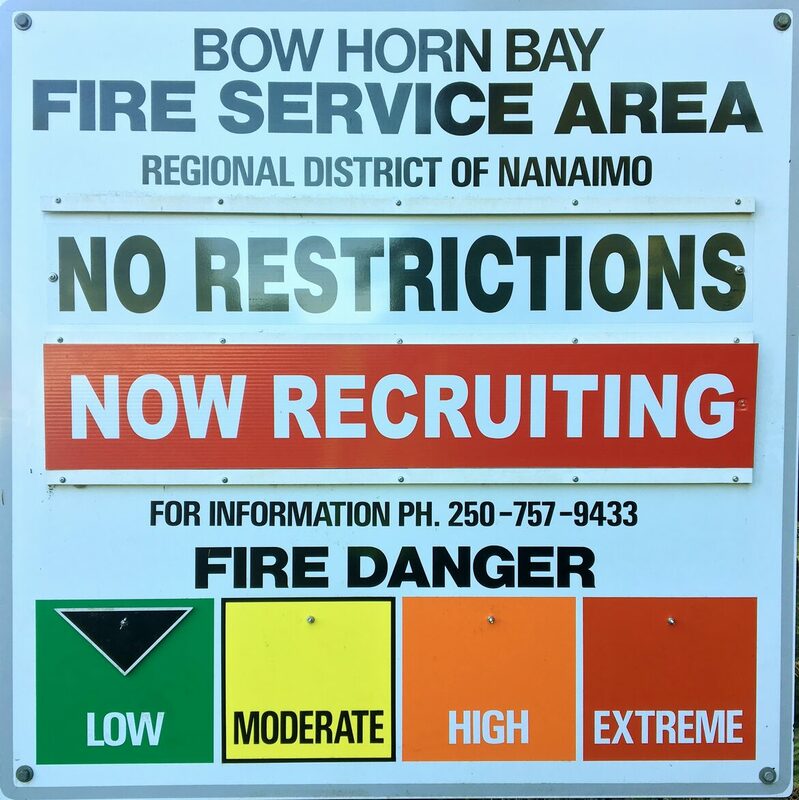 Effective at noon on Wednesday SEPTEMBER19th 2018, the total Fire ban has been fully relaxed throughout the Coastal Fire Centre's jurisdiction. The recent weather has decreased the wildfire risks in the region to low. Category 2 (yard fires) or category 3 (permit required) open fires will be permitted, along with the use of tiki torches, burn barrels, fireworks, sky lanterns and binary exploding targets. Local governments may still have their own burning restrictions in place, so people should always check with local authorities before lighting any fire of any size. 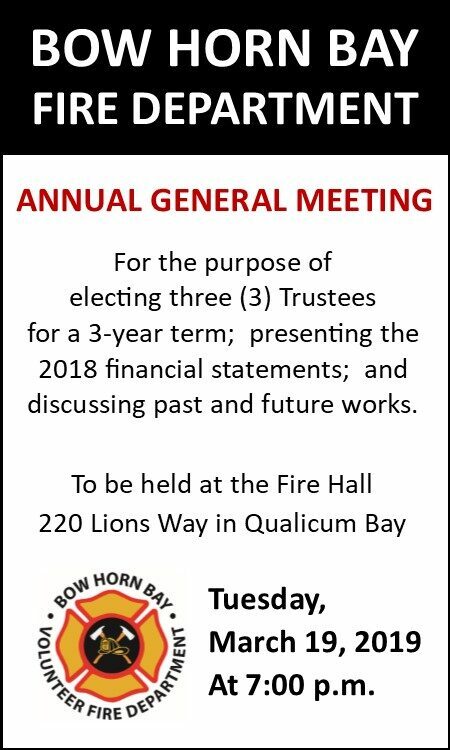 If you require further information or clarification please call the Fire Hall 1 250 757 9433, or the Fire Chief on 1 250 240 0419, or the Deputy Chief 1 250 228 2200. WHERE DO YOU LIVE? DO I HAVE FIRE PROTECTION IN MY AREA? One of the greatest obstacles to fire, police or ambulance personnel responding to a call is a residential address sign which is difficult to read, or not there at all. The need for quick response to emergency situations is critical, and could be a matter of life or death. Ensure that emergency responders are able to locate your property quickly, day or night, by purchasing and installing a reflective address sign. Please download an order form today! or fill out an application today! See also the news and event page for more information!